Today, Brad Brisco joins us to talk about Covocational Church Planting. We will discuss the need for people working and leading ministries at the same time as well as the benefits of it. What’s the difference between covocational and bivocational? Bivocational follows the example of Paul being a tentmaker. Bi implies that the job is completely separate from their ministry. Covocational is about working another job to help grow your ministry and provide for your family. We need to think like a missionary all the time especially if your are working covocationally. You are constantly on a mission field with your coworkers and your clients. For college pastors there is a big relief financially on your family and the church plant when you are covocational. If we are going to plant churches all the places that people need Jesus we are going to have to have more covocational pastors. We need to raise people up in our college ministries who can go from college to church planting. We must change our paradigm from American Evangelicalism to being more missional minding. Covocationally may be the best way to plant a church. We need to tell the stories of people who are planting covocationally. Are we satisfied with what is happening in the Church in America? Covocational church planting may help change this. We must think like we are in a mission field because we currently are in a downward trend with Christianity. Incarnational Mission: allowing the incarnation of Jesus to form the posture towards our content. Chirstology does not only include the cross but also Jesus life and ascension. 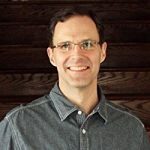 Brad Brisco is the Director of Bivocational Church Planting at the North American Mission Board. Brad is a published author writing books such as Missional Essentials and The Missional Quest.